Stylish two bedroomed home with the opportunity of indoor/outdoor lifestyle. Two wings - one with kitchen and lounge/dining area - with cosy fireplace - and the other with guest toilet and two bedrooms, both en-suite, with built in cupboards. The main bedroom and lounge area both have glass sliding doors which meet a patio on the ocean side of the house, with lawn and garden beyond. Glass sliding doors opening to the mountainside offer a sheltered, partially covered braai and entertainment area with views. Second bedroom also has a separate entrance. All this with a double garage and space to build an extra studio or office, should you so wish. 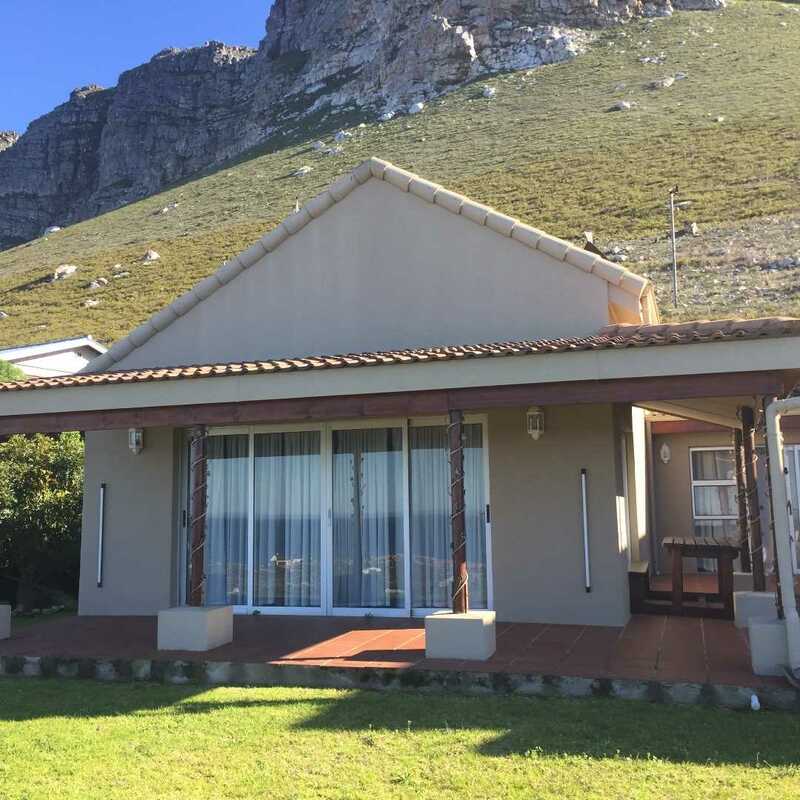 Give me a call to view this property, as Bettys Bay property for sale is my speciality.